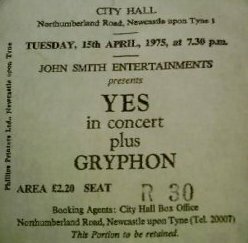 This was my first ever Yes Concert. I remember just being "Awe-Struck" by the whole evening. 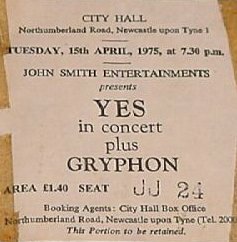 The stage set was fantastic with the amazing Drums and Keyboards structure, opening up during "Ritual"
Can still remember Jon coming in too soon on "Sweet Dreams" and having to re-cue it. Remember feeling "This is the stuff dreams are made of!!"